business is by word of mouth! When a new customer hires Typing and More to design and host their new website because of a referral from an current customer, the current customer receives ONE MONTH OF HOSTING FREE. A minimum $35 value. The NEW customer will also receive ONE MONTH OF HOSTING FREE once their website is fully completed. 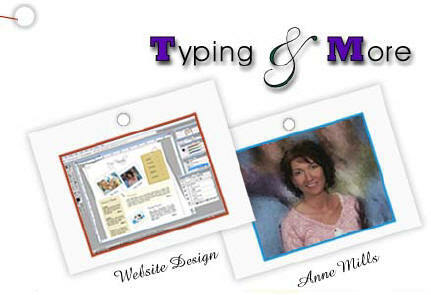 Hire Typing and More to design a business card receive a layout design for coordinating letterhead with match envelopes FREE. Additional discounts also apply when multiple Marketing Materials are selected in the same layout/design. © 2011 Typing and More.com All Rights Reserved.